Long's Flower Shop & Greenhouses, Halifax, PA, is a Full Service Flower Shop serving the Halifax PA, Millersburg PA, Elizabethville PA and surronding communities since 1959. Family owned and operated for over 60 years. 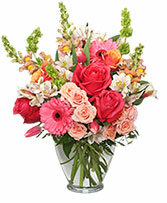 We offer Fresh Flower Arrangements, Dish Gardens, Plants, Silk Arrangements and Wreaths. In season we have a greenhouse full of plants, hanging baskets, Poinsettias and Easter Plants to custom make that special gift for you. We also have available Fruit Baskets, Snack Baskets and Junk Food Baskets or any combination thereof. Give us a call and we will be happy to custom make a gift basket to suit your needs. Long's Flower Shop & Greenhouses receives multiple shipments of fresh flowers every week from various sources to ensure your fresh flowers are long lasting and of the highest quality. Long's Flower Shop offers daily delivery to Halifax PA, Millersburg PA, Elizabethville PA, Harrisburg PA and surronding areas. 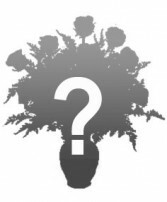 We also offer daily flower delivery to local funeral homes and hospitals. Thank you for visiting our web site. If you do not see what you are looking for please give us a call and we will be happy to custom design your perfect gift to suit your needs and budget. 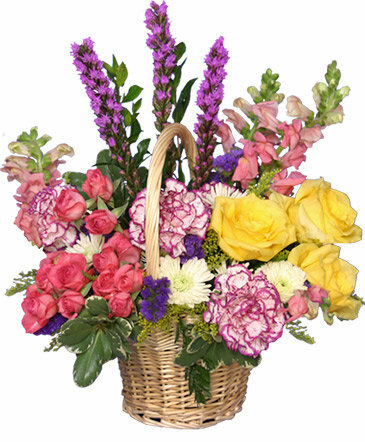 Willow Princess Basket With Handle & Liner, Wet Floral Foam, Foliage: Variegated Pittosporum, Myrtle, Pink Snapdragons, Yellow Roses, White & Purple Variegated Carnations, White Cushion Poms, Hot Pink Miniature Spray Roses, Purple Liatris. 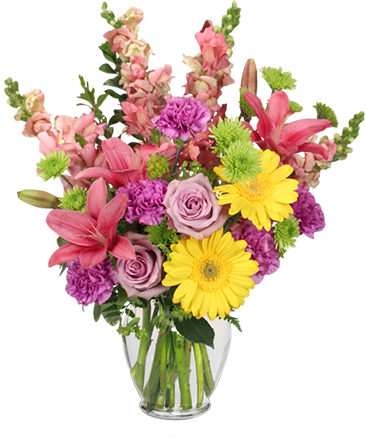 Brighten someone’s day with beautiful fresh flowers from LONG'S FLOWER SHOP & GREENHOUSES! This colorful Flower Basket is perfect for a birthday, anniversary or any festive occasion. 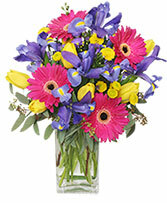 Order Halifax, PA flowers online or call us direct to send flowers and a smile today! 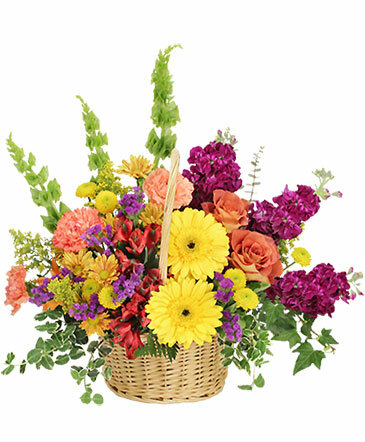 Your Customer Has Ordered A Custom Arrangement Please Pay Extra Attention To The Special Instructions And Contact Your Customer Directly Concerning Any Questions About This Order. Designer's choice arrangement using a beautiful mix of our freshest flowers on that given day. A gorgeous, bright and colorful mix of fresh flowers made especially for your order.